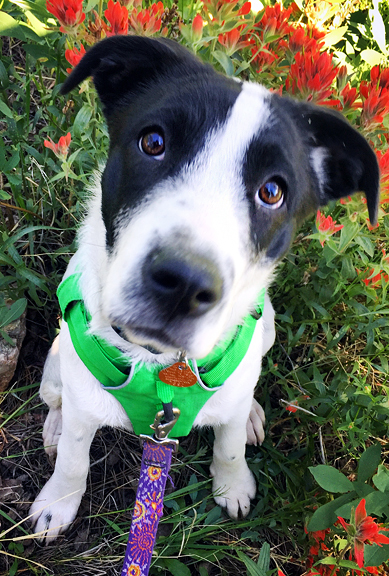 In the 12 days since Yuki joined our pack we’ve procured an extra baby gate, an extra dog crate, an extra dog bed, a Nylabone chew toy, another Nylabone chew toy (because… Neva), a puppy harness, and other things that make pups and humans happy. In some ways, Yuki transports us back to the puppy training days and in many ways she is like no puppy we have ever encountered. Yuki is a little dream girl. I’m openly glad that the few people who inquired about her flaked out, because she’s our girl now and we are so in love with her. 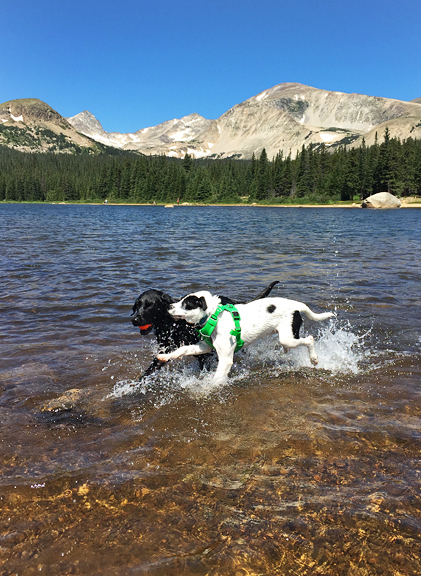 Of course, any dog in our household undergoes Butter Boot Camp so they are ready to hit the high country, swim in alpine lakes, and have fun in the snow! 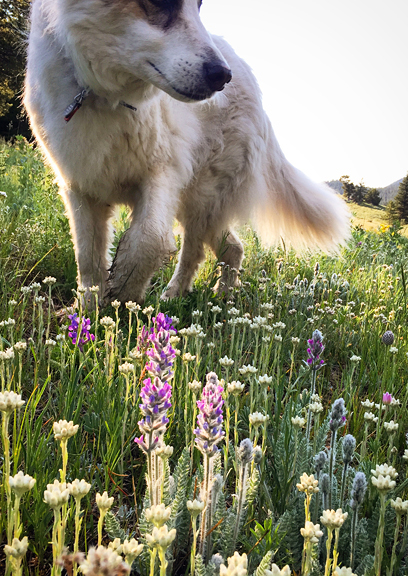 We’ve been hiking Yuki to build up her miles and strengthen her paw pads so we can take her on longer, more exciting hikes. This morning, she had her first ever swim! And we found some snow for her to romp on. Such progress. You can follow daily updates on my personal Instagram account. 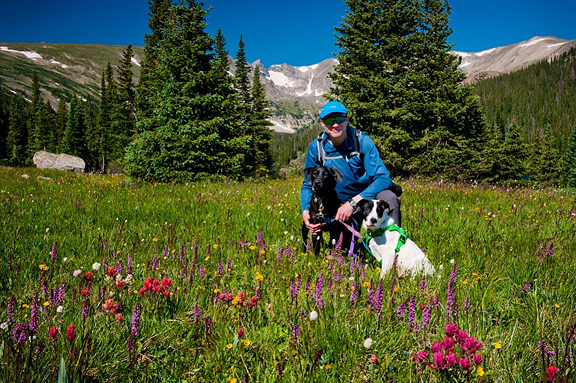 On the days we don’t hike, we walk (it’s still a hike – everything around here is trails) the girls to the soccer field and let Neva fetch while Yuki gets training. It’s great because Neva is so focused on her tennis ball that she ignores Yuki, and Yuki is so focused on either me or Jeremy that she mostly ignores Neva with the occasional chase. 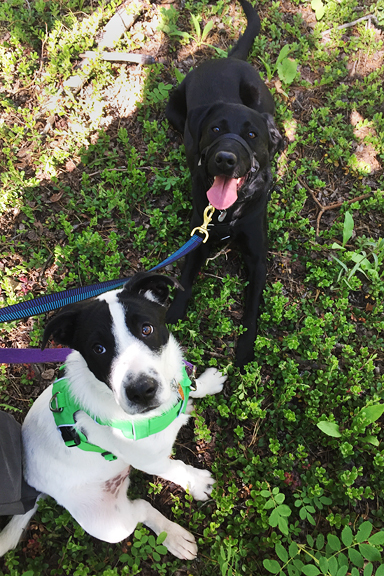 Over the weekend we had some folks over for dinner and both pups behaved better than we could have dreamed! We are easing Yuki into crate training because we don’t want to traumatize her, but we also need her to be safe when we aren’t home. As of now she is handling 1-2 hour stints without much issue and we will gradually work up to longer periods. We leave the door open when we are home and she likes to wander in there for naps or to ask for food. Feeding her in the crate makes it a happy association and also keeps food-obsessed Neva from trying to eat puppy kibble. I think Yuki will get the hang of it quickly like she has everything else. I imagine she’ll transition to sweet sweet freedom in the house sooner than Neva did. The pups are playing tug as I type and I have one eye on the computer monitor and one eye on them as they weave a little path of destruction around the great room. Managing puppy and everything else (i.e. life) is quite the exercise. Jeremy and I trade off who gets to leave the house for extended periods of time and who gets to work (actually work) during the active hours. When they both fall asleep, we get a few hours of quiet and concentration. When my pal, Erin, and I went for a hike recently, we checked in on several huckleberry locations. The plants were heavy with lots of berries in the green pea stage. We used to get super excited about the green peas, anticipating a good huckleberry crop. We didn’t realize that not all green peas become purple huckleberries for various reasons (drought being one of them). Now we know better. Life in the mountains is tough. The diminutive mountain huckleberry endures much hardship to eventually ripen into the very best berry on the planet. They are precious. 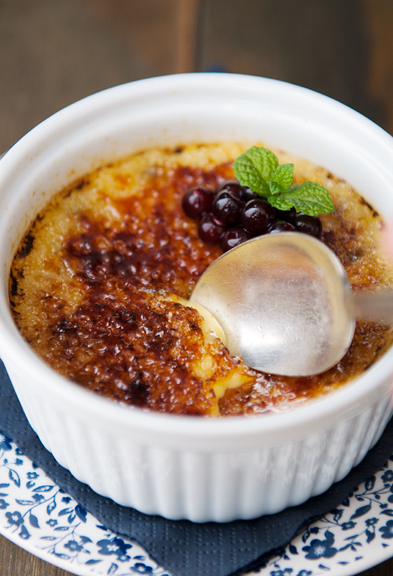 You only need a few spoonfuls of the purple berries to elevate something like crème brûlée into a dreamier version of itself. 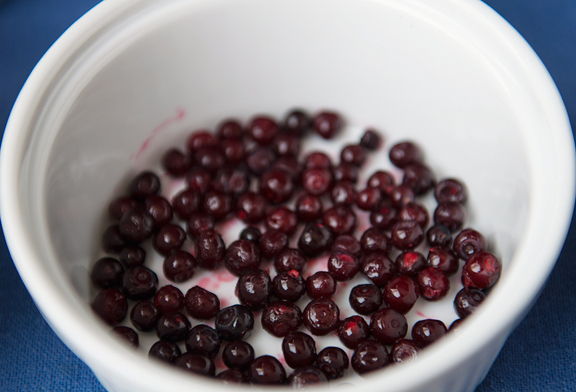 You can choose fresh or frozen huckleberries for the recipe. Both work well, but fresh huckleberries have a limited window and geography. Frozen hucks tend to be more convenient and more accessible because you can order them online if you live in a place that doesn’t have huckleberries. And as with almost all of my huckleberry recipes, you can substitute blueberries if you can’t get hucks. I used six 1-cup ramekins, but if you use smaller ramekins, you can make 8 or more servings. I think tiny crème brûlées can make the most adorable little desserts – especially if you are serving multiple dessert courses. 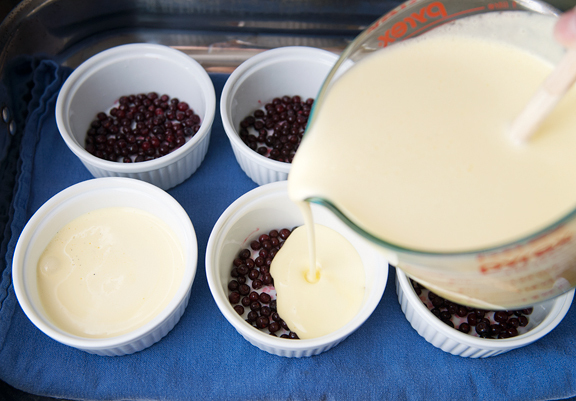 Baking the custards in a water bath heats them gently, but the smaller or shallower your ramekins, the less time they will need in the oven. 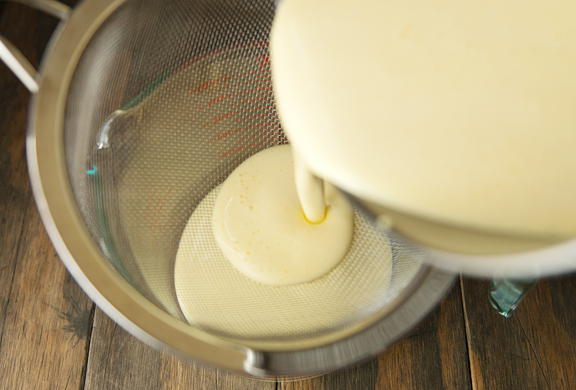 Be sure to check on them early on to avoid overcooking your custard. Also, I find placing a kitchen towel on the bottom the roasting pan helps to prevent the ramekins from sliding and sloshing about when I move the pan into the oven. 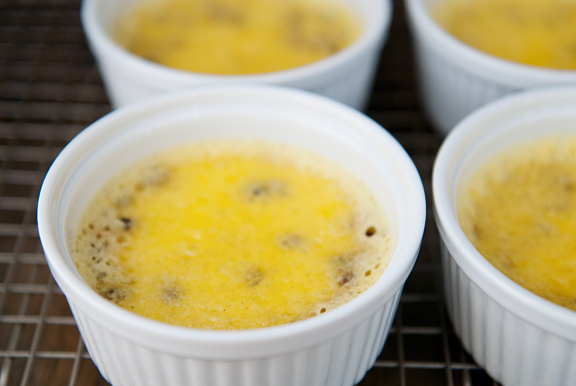 Don’t bake the custards until they are solid, because that is overcooked. The best test of doneness is when the edges are pretty set and the centers still jiggle when you gently shake the ramekin. They will continue to cook in the water bath after you remove the pan from the oven. 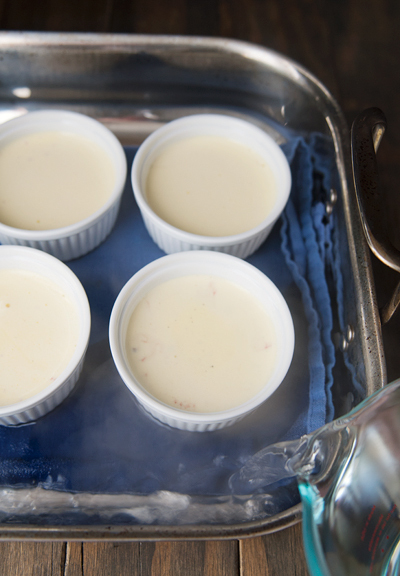 Once cooled to room temperature, the custards should be chilled through in the refrigerator for at least a couple of hours, but overnight is better. Before serving, be sure to sprinkle enough sugar on top to develop a decent burnt sugar lid. 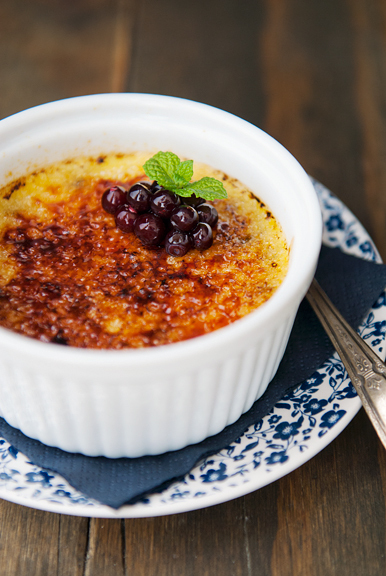 I’m a huge fan of any crème brûlée, but huckleberry crème brûlée is irresistible. It makes something that is already good into something extra special. I sometimes think that Yuki might just be the huckleberry and Neva the crème brûlée. Together, they are very awesome. Preheat oven to 300°F. 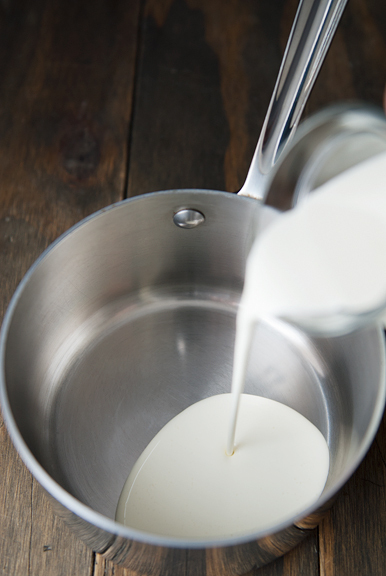 Warm the cream in a small saucepan over medium heat until the edges begin to bubble. Remove from heat. 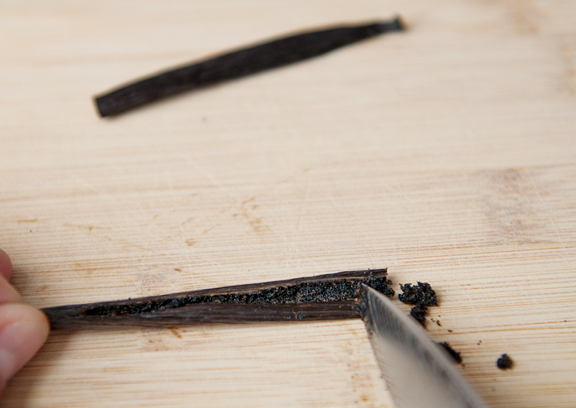 Split the vanilla bean lengthwise and scrape the seeds from the pod. Place the seeds and the pod in the cream and cover. Steep for 30 minutes, then remove the vanilla pod (discard). Divvy the huckleberries among 6-8 ramekins. 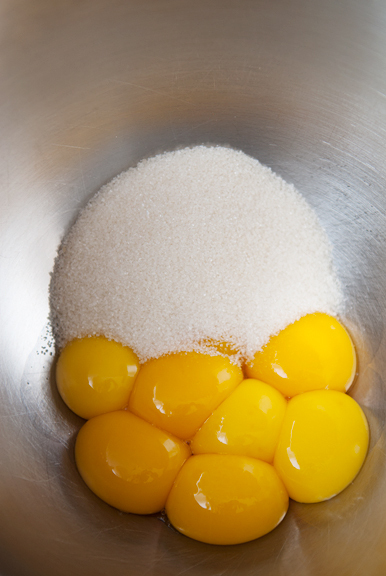 Whisk the egg yolks and 1/3 cup sugar together in large bowl until mixture is thick and pale yellow. 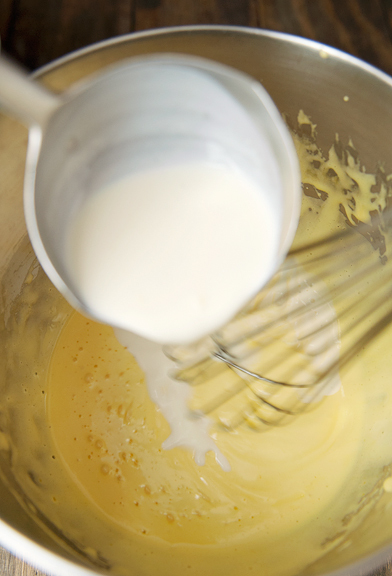 Whisk a quarter cup of the warm cream into the egg mixture. Repeat. 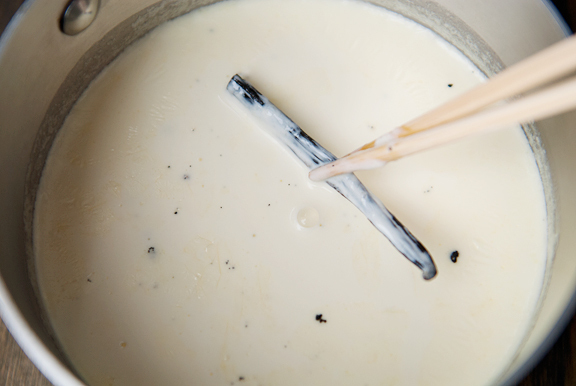 Whisk in the remaining cream and the vanilla extract (if using). 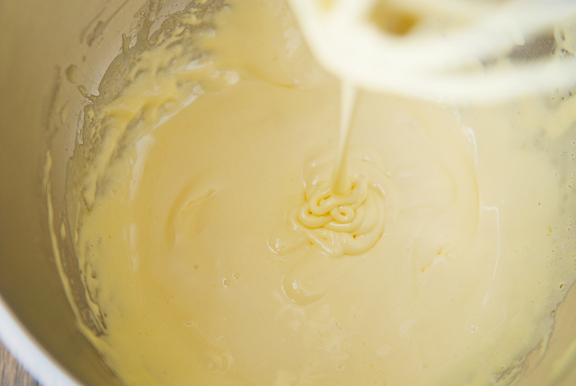 Strain the custard base into a large bowl. Divide mixture among the ramekins and set in a hot water bath (I use a tall roasting pan and pour boiling water into the pan halfway up the height of the ramekins). Bake until set around the edges, but still loose in the center, about 40 to 50 minutes (I needed 60 minutes). Remove from oven and leave in water bath until cooled. Remove cups from water bath and chill covered for at least 2 hours or up to 2 days. 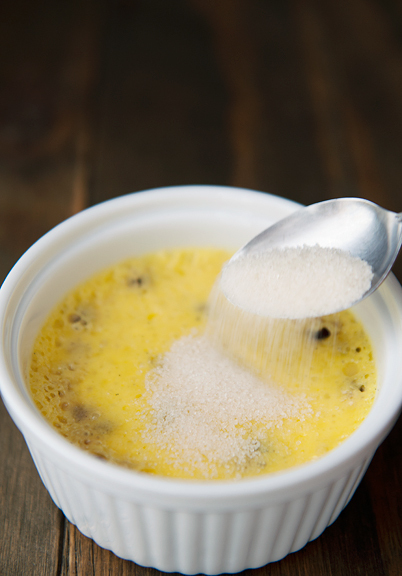 When ready to serve, sprinkle 2 teaspoons of sugar over each custard. Torch or broil the sugar until caramelized and serve. Serves 6-8. I’ve been following you for YEARS but now that you have Yuki – welp your family is complete! I LOVE LOVE LOVE ALL THE PHOTOS with both pups! Oh and your food of course, but the dogs — so so ADORBS! All the best to you! Those look delicious. What is a suitable substitution for huckleberries for those of us who can’t lay paws on them? Or is there, alas, no real substitute? Blackcurrants and Redcurrants I got but I have no idea what the huckleberry might taste like. Neva and Yuki look very chilled there. Is it me or does it look like Yuki is going to be quite a bit bigger than Neva when she grows up? 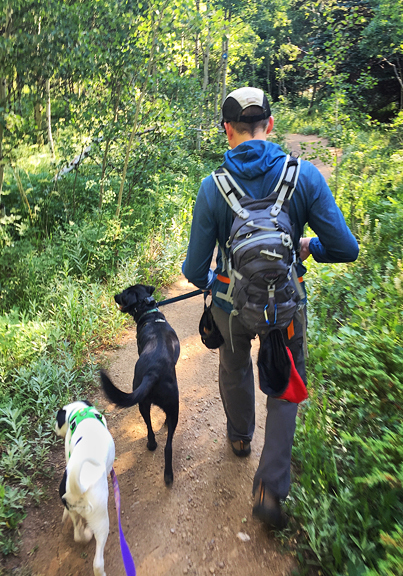 It makes my heart happy to see your pack! Yuki sounds like she’s fitting in quite well and Neva has accepted her! Love how they are in the same bed. Two very lucky dogs! It’ll be interesting to see who becomes Alpha. Love all the pics of your pups. They are both adorable!!! 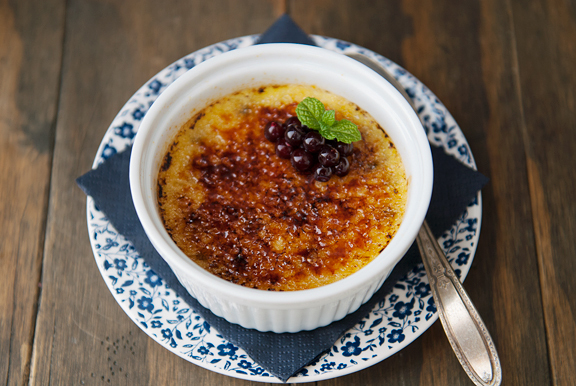 The creme brulee is gorgeous of course but mostly I want to talk about the puppies! What sweet girls! Yuki is just darling, I can tell from the photos, and Neva is being such a good big sister. What a champ! It’s not a small thing to adjust to a new critter in the house. I’m so happy for all of you. Yay for dogs! I do mine sous vide in the smallest canning jars. Takes all the guess work out of the done part, and they seal up and keep for several weeks in the fridge. Can’t wait to try your chocolate recipe. I’m loving watching Yuki become part of your family, and am so thrilled that it’s been so successful! 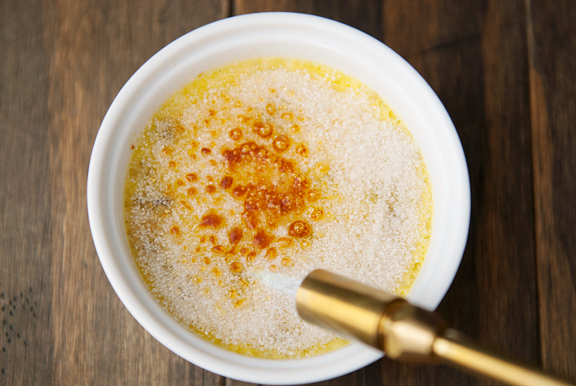 The creme brulee looks amazing. We had an overcooked one at a restaurant, and now my daughter has been murmuring about making some at home to make up for that experience. We have no huckleberries, so I guess we will have to figure out what kind we want to make! So many good ones to choose from. Recipe looks heavenly. Keep the pup stories coming, such sweet girls! 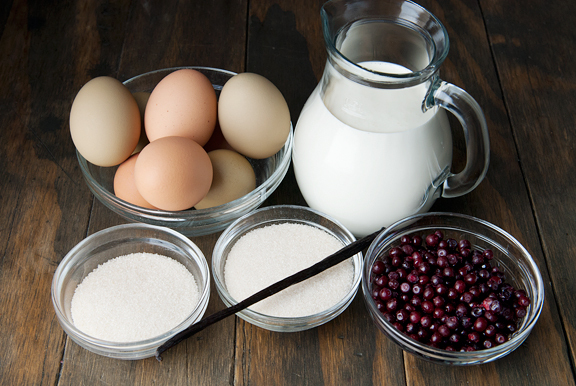 TG – I think you could definitely use blueberries, but actually any berry works very well with creamy desserts. Huckleberries are like blueberries, but with more tartness (but still sweet). And Yuki is about 2/3 Neva’s size. We aren’t sure how big she will grow, but we suspect in the 35-45 pound range. She just looks big in the photo because she was in front and the camera on the phone is a wide angle. hungry dog – Ha! 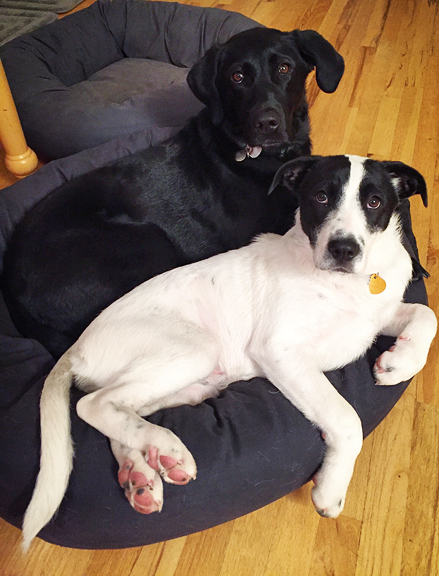 The pups really are settling in together and working things out. It’s kind of wonderful – beyond what we could have hoped. Anita – Great tip! Thanks!! The overcooked creme brulee was incredibly disappointing because 1. I can make great cb at home, 2. I have never overcooked it or been served it overcooked, and 3. It was at a very expensive restaurant for a celebration, and it wasn’t cheap. I said we should send it back, because they would want to know, but my husband and daughter didn’t want to. They said we were all stuffed anyway, and were sharing another dessert. Sigh. I tried to explain to them that the restaurant really would want to know, but they don’t read about food, and didn’t believe me. I’m sure someone else wasn’t as hesitant, so they probably got the message anyway. Yuki is a beauty. I am so happy that you found her. I have spent more than 40 years with these amazing animals, they always seem to do better with another of their kind in the household. Your recipes, writing, and photographs are fabulous. So happy that your pack is now complete. Yuki looks like she belongs with you….. congratulations!